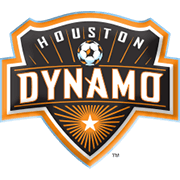 High-flying Houston Dynamo will be aiming to extend their winning run in the Major League Soccer to four games when they host San Jose Earthquakes at BBVA Compass Stadium. Wilmer Cabrera’s men have been scoring goals for fun at the start of the season and they produced a thrilling display in a 4-1 victory over Colorado Rapids. Jose Rodriguez has netted four goals in the 2019 MLS season so far and he is likely to pose a big threat for the opposition defenders. San Jose Earthquakes, on the other hand, desperately needed a win against Portland Timbers and they managed to get one. The team regained a much-needed confidence, but seeing that they have been struggling on the travels at the start of the season, we are tempted to put our money on Houston, who look unstoppable at the moment. 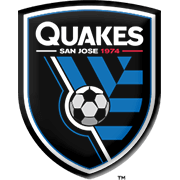 San Jose Earthquakes are members of the Western Conference of Major League Soccer. The Quakes have been participating in the league since 1996 and they won their first MLS Cup trophy in 2001. Back then San Jose outplayed star-studded Los Angeles Galaxy in the title game, but it has to be noted that they scored the winner in the extra time. Two years later the Quakes managed to repeat the success, with the team beating Chicago Fire in the 2003 MLS Cup final. Avaya Stadium is the home ground of San Jose Earthquakes and the capacity of the venue is 18.000. The construction of the stadium cost no less than $100 million and the venue was opened in March, 2015. The club’s home colors are blue and black, whilst the Quakes wear white and red shirts and white shorts when playing on the travels. Chris Wondolowski is the club’s biggest star and he has been playing for San Jose Earthquakes since 2009. The USA ace has 121 league goals on his account ahead of the start of the 2017 season.